At Tulpehocken, we believe that the true measure of a school is more than just the score reflected in the School Performance Profile. The SPP, although composed of multiple measures, is still just one facet of the collaborative work that is done by our faculty, staff and administration. The Tulpehocken Community has stepped up and provided support for our students in so many other ways that are not measured on any scale. Many times, those participating in these positive activities go unnoticed, but their generosity can be deeply felt by those who were touched by their kindness. 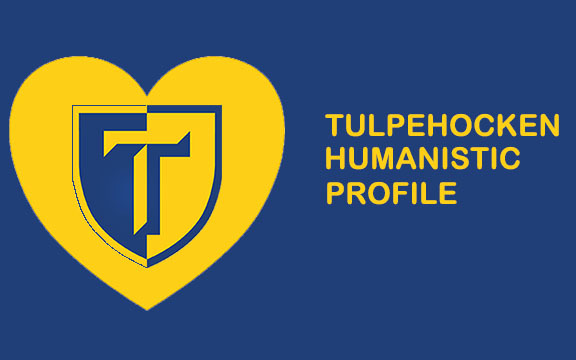 The Humanistic Profile is our way of recognizing the other good things happening at Tulpehocken every day. Collected money and gift cards to send to an elementary school that was hard hit by Hurricane Sandy in 2012. Made snowflakes to send to Sandy Hook Elementary in 2012.